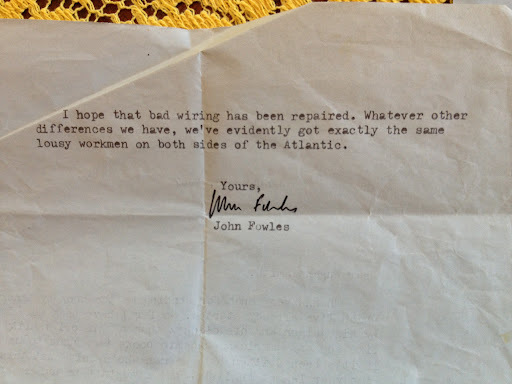 Letters to my father from novelist John Fowles. Glad to hear that your project is now ‘in the can’ as the movie-makers say. I should be very happy to read it, if you have a photostat or something you can send. 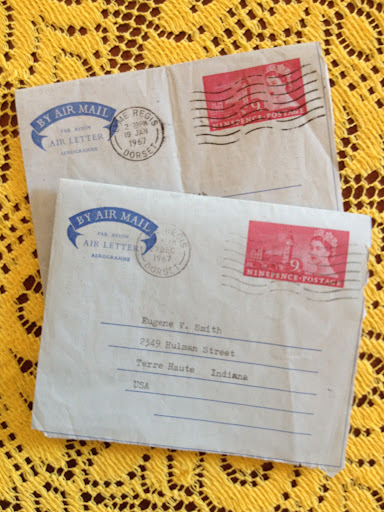 I’ve lost typescripts across the Atlantic, so if your have only one copy I’d strongly advise against risking that. I’m a little shy of promising to help you edit it, for two reasons. The first is that I have no sociological training and so I can’t assess its value, though I could possible help on the matter of readability. The second is that I have a great deal of work of my own to do in the next year and I don’t think I could get involved in extensive rewriting and redrafting for reasons of time. I have as a matter of fact just contributed to a Harper and Row book, so that might help. I can also get my own American publishers, (Little Brown) interested, if needs be. I think what you have to decide (this is the key question every author without exception, from the driest academic to the vulgarest bestseller, must ask himself) is what audience you have in mind. By and large esteem from fellow academics and esteem from the general public are incompatible. 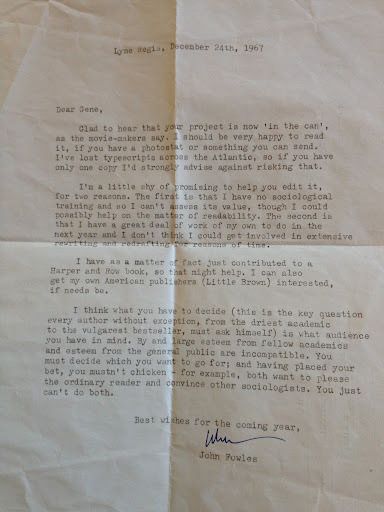 you must decide which you want to go for; and having placed your bet, you mustn’t chicken – for example, both want to please the ordinary reader and convince other sociologists. You just can’t do both. 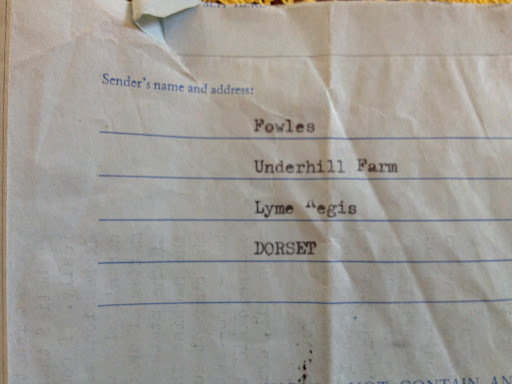 But apparently, in the mid to late 60s, my father wrote him , and Fowles was receptive enough to correspond, and at one point, my father stayed the night at his house. It looks as if my father approached him regarding his PhD thesis, which was a content analysis of fiction in the Ladies Home Journal over a period of years. What connection he saw between his own work and that of Fowles…unknown.